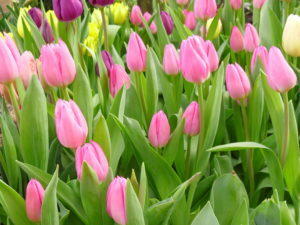 Located just 60 miles north of Seattle the town of Mount Vernon celebrates the Skagit Valley Tulip Festival where you can see millions of tulips bursting with color during the month of April each year. Breathtaking row upon row of daffodils and tulips for as far as you can see makes for great memories to take back home. You can even order bulbs for your garden for next years enjoyment.